Gorham officials knew that the cost to renovate and expand the town’s 59-year-old high school would be big. But an estimate of nearly $97 million stunned residents and school officials alike. 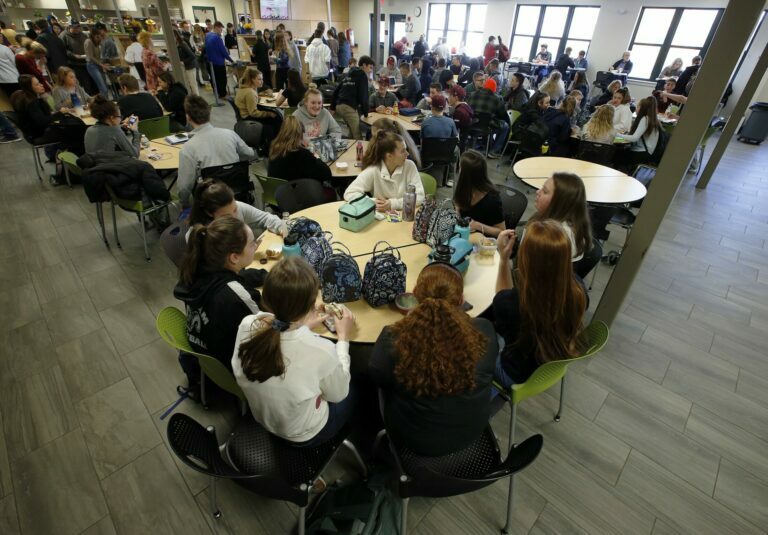 The price would make Gorham’s high school project the second-costliest in the state – just behind Sanford’s new $100 million high school, which opened in October – and add roughly $1,200 to the annual tax bill for a home valued at $250,000. The Sanford school can accommodate 1,800 students, versus the roughly 1,100 planned for Gorham. But perhaps the most striking difference is that the state picked up most of the cost of the new Sanford school. Gorham decided not to seek state financing because its high property valuations would likely disqualify the town from receiving aid. Perry said the project is a response to a growing school population in Gorham. She said the school’s current population of 800 exceeds the 750 the school was designed to hold. Because of a recent building boom, there is a large population of students in the town’s elementary schools. They will hit high school and swell the number of students there to about 1,000 within a decade, Perry said. She also said that classrooms in the school are smaller than they should be; the main entrance is on the opposite side of the school from administrative offices, making safety an issue; new general and science classrooms are needed; gym and cafeteria space is inadequate; and there’s not enough parking for staff and students. Perry’s question about a price that taxpayers will support is one that residents and officials will wrestle with over the next few months. Perry and school board officials said they’d like to hold to a schedule that calls for a vote in November on issuing bonds to pay for the renovation and addition. In the meantime, she and school board members will work on trying to pare the cost and have thrown open that process to residents, asking if any have alternatives to bring them forward. 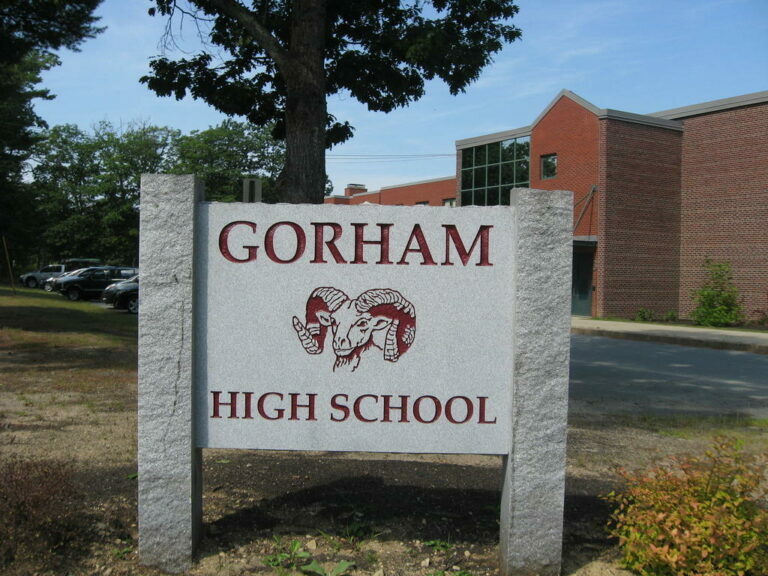 “There’s no intention at all of bringing a $100 million project to the voters of Gorham,” she said. To resident Jim Means, that’s a good thing. Doing the project for the $96.8 million initial estimate will raise taxes on a typical $250,000 home by about $1,200 a year, which is too much of a jump, said Means, 69, a 24-year-resident of the town. Means said he knows the value of a good educational system even for those without children in the local schools – his three attended Cheverus in Portland. For one thing, a good school system supports property values by making the town attractive to families, he said. But he questions the project’s plan to increase the size of every classroom in the existing building. He suggests scrapping that decision, dropping a proposed second gymnasium and using a nearby town office building – which was formerly a school – as an annex to the high school to provide some additional classroom space. He also said that education may change soon, with more teaching and learning done online, no longer requiring students to spend all day in classrooms and perhaps making a bigger school unnecessary. “Education delivery is going to change,” Means said. Those ideas have been passed on to school officials as they look for ways to cut costs, he said. Perry said just dropping items from the plan is an overly simplistic approach. But she said the problem is the school population boom that’s moving through Gorham’s school system. After a renovation about 25 years ago, Gorham High School was designed to hold about 750 ninth- to 12th-graders. 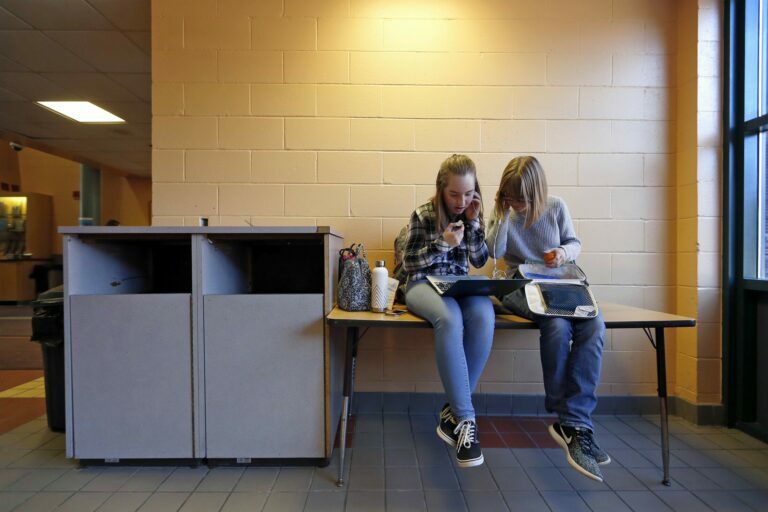 But there are about 800 students in the high school now, she said, and – after a slight dip projected over the next three or four years – the numbers will increase steadily. She said much of the renovation work will increase the size of the classrooms. 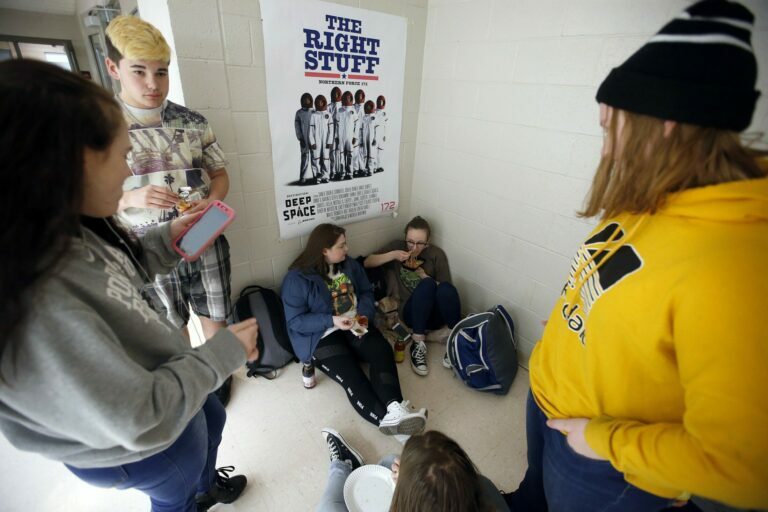 Almost all are under the state-recommended 800 square feet, and the larger rooms are a reflection of modern teaching styles in which students aren’t always sitting in neat rows, she said. 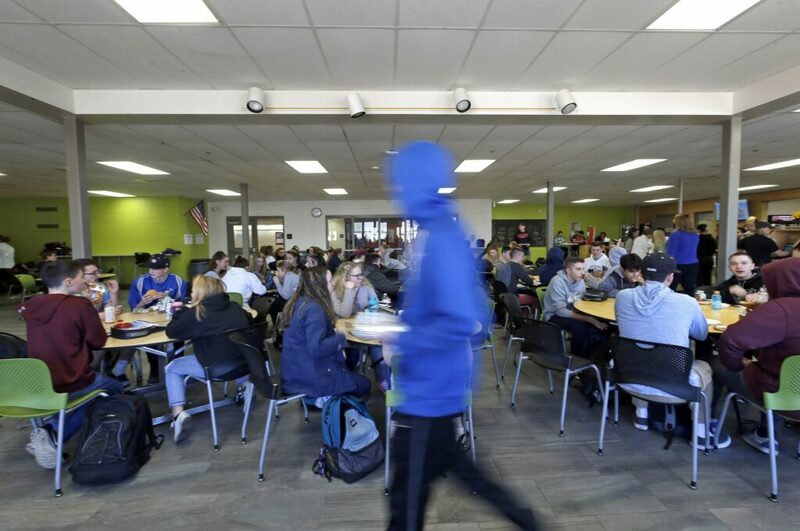 In addition to the need for more and larger classrooms, she said, the current gym can’t handle the multiple physical education classes that run all day, and a space crunch means students are sitting on the floors in hallways to eat their lunch, despite three shifts in the cafeteria. The plan, she insists, is a collection of needs, not wants. Darryl Wright, the school board chairman and head of the building committee, agrees. He said higher construction costs, rather than an overly expansive wish list, was what caught him off-guard in the estimate. That’s not unusual. Construction costs have been skyrocketing in Maine and around the country, rising to the highest levels since 2006, before the Great Recession put the brakes on development. “I knew immediately that it was a number that we would not go to the voters with,” he said. The board initially looked at a renovation about six years ago, Wright said, but shelved the plan when town officials said they needed to pay for a renovation of the public safety building. At that time, the cost was estimated at about $17 million, he said, but it was prepared before a building boom increased the number of children in school, projections for the number of high school students were raised and the demand for additional space was calculated. This year’s estimate was presented at the building committee’s last meeting in early March, Wright said, and the committee will meet again Thursday to start paring items from the project to rein in the cost. “We’re looking to find a number that would be palatable for the (school) board, the council and the taxpayers,” he said.